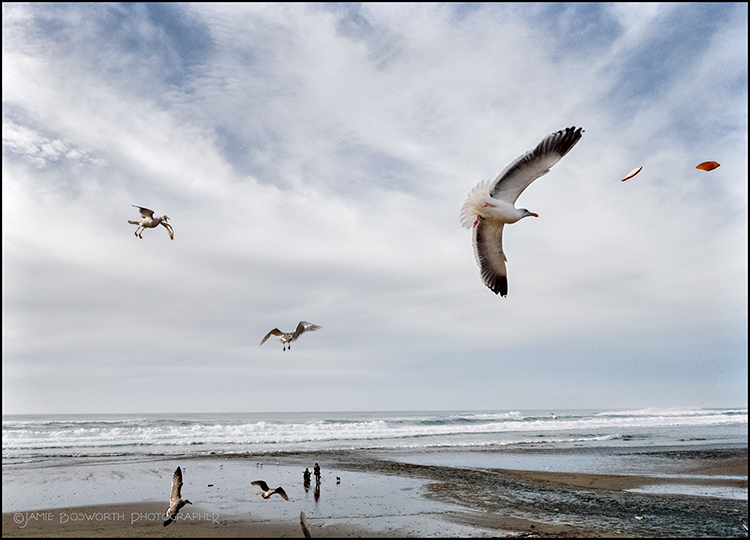 If the beach of choice is Lincoln City, his first order of business is to buy taffy (alledgedly for the guys at work) and then we feed the gulls… enjoying the drama. After that we head to one of the places where we can fly our kites. Sometimes we get skunked… there are calm days at the coast more often than I knew before I had the kite habit. When it’s calm, we walk. Watching the crazy-happy dogs and the slow progression of people weaving over the sand and sitting on the driftwood makes me happy. 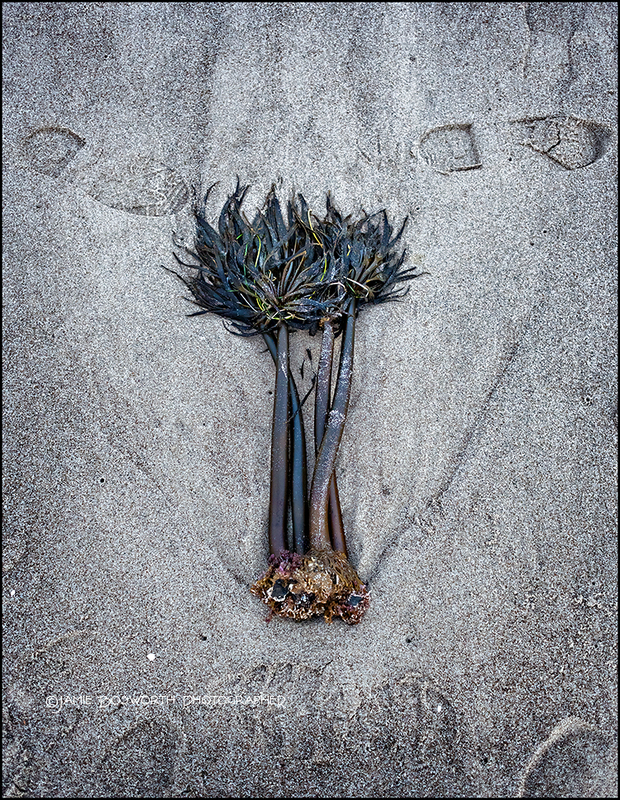 There are rock cairns and sand castles, feathers and shells and sea grasses. And sometimes, there are palm trees underfoot, right? Life is better with beaches in it. This entry was posted in Day to Day and tagged beach, beaches, coast, crowd, dogs, happy, life, Oregon, photographer on March 31, 2017 by admin. My mother hauled me out of school one rainy day in November of my senior year to drive her to Lynchburg, Virginia. She had been hired to shoot the small, seminary campus for an upcoming brochure. She had never gotten her driver’s license… mostly walking or biking to work all the years I knew her. On this particular Friday, she had decided that I would drive and that I would also shoot with her. Fine by me. I remember sitting on the cold floor of the men’s dorm quietly watching the two guys studying at the end of the hall. I took three frames and in one of them the pipe completed the composition… I am not sure if they knew I was there. Later, Mom studied these, smiling, and said they weren’t necessary for the brochure… she gave me one of the most important photographs of my life. This entry was posted in Art and tagged 1969, brochure, Jamie Bosworth Photographer Oregon, life, Lynchburg, Lynchburg Seminary, men's dormitory, VA on February 2, 2012 by admin. This entry was posted in Odds & Ends and tagged dream, dreams, fear, Lao, lao tzu, life, Tzu, water, weed, weeds, worry on January 19, 2011 by admin. Alexis and Kim had one of those lovely days where plans got shifted back and forth by the weather but through it all, they remained rock steady and in love… something you hope to see in any couple as they embark on a life journey. I happen to be one of many who thinks that people should be able to marry the one they love. Period. With any luck, this world will come to see that there are no rules in this except the ones written by the heart. This entry was posted in Wedding Posts, Weekly Favorites and tagged alexis, bosworth, bride, brides, couple, day, day girls, Girls, GL weddings, heart, hope, jamie, Jamie Bosworth Photographer, life, life journey, love, lovely days, luck, Oregon, photo, photograph, photographer, plan, Portland, rain, Rainy, rainy day, rock, something, weather, world on January 10, 2011 by admin. This entry was posted in Odds & Ends and tagged Art, johann wolfgang von goethe, judgement, life, opportunity on December 10, 2010 by admin. This entry was posted in Art and tagged bosworth, brotherhood of man, dream, greed, heaven, hell, hope, hunger, Imagine, jamie, John Lennon, life, live as one, May, peace, photograph, photographer, possessions, religion, sky, Strawberry Fields, thirty years, world on December 8, 2010 by admin. My lucky life has more of this in it… the oddities stumbled upon. Seems as if I spend a great deal of time working at the computer for other people these days and I miss the sense of adventure… maybe chance is what I should call it. I need to grab a little more time for me. That’s a given. This particular scene is on the way into Santa Fe… right there on the side of the road. Seems that the owner/artist has a blow-in insulation company and he has crafted all of these life sized foam creatures in the yard by his house. The massive crab on the Governor Hotel used to show up every summer in the ’90’s… it was a promo for Jake’s Grill and I was always amused to see it up there. Well, one day I got serious and went downtown on a mission. Having waited too long on a few other things in my life, I was determined to make sure I showed up for this one. My favorite personal film for the longest time was Kodak’s Infrared… all of the images in this post are that flavor. For all that digital has made reasonable progress, they have yet to bring this one to the table. I will keep my fingers crossed. The Pterodactyl in Pioneer Place was a real surprise. I wish I had taken note of the artist’s name so that I could give proper credit here. It had a full, articulated wing span and I left out the beautiful wings and their supporting structure in this picture because I needed it to be more organic somehow… in film I didn’t have the chance to leave out the shiny metal rods. Makes me wonder how I might shoot it today since I have more tricks up my photographic sleeve? I do believe photographs should be honest and I will try to keep that promise to myself. This entry was posted in Art and tagged Art, Attraction, beautiful wings, blog, crab, downtown, Governor, governor hotel, Grill, Hotel, images, insulation company, kodak, life, lucky life, oddities, personal film, photograph, photographs, Pioneer, pioneer place, planet, pterodactyl, Roadside, roadside attraction, santa fe on January 27, 2010 by admin. The street was quiet… no one rushing off to work this Christmas morning. The sun playing in the bedroom curtains gave me a chance to relax and reflect a little… it has been a year to give us all pause. Normally, I am a pie eyed optimist and I’d like to say all of my friends are happy and well but the economy and general distress have been rough on everyone. None of us will miss 2009. The uncertainty needs to subside. The smiling has to come back. I don’t mind learning to rein in the spending habits of the last years… I had a good run for a bit. On the other hand, it is very uncomfortable to have dipped below the happy medium. It will turn around… I am sure of it. Meanwhile, we have to get up every day and go about the business of making a life. Got to give it your best shot. I am thankful for a roof over my head and a good man to share it. I am thankful for family, friends and nice strangers. I am thankful for fractious cats. I am always thankful for time to think. This entry was posted in Day to Day and tagged Arrivederci, bosworth, business, cat, christmas morning, content, economy, good man, happy medium, life, morning, optimist, roof over my head, spending, spending habits, uncertainty on December 25, 2009 by admin. The mustard yellow dumpster is gone now. It has been parked in Helene’s driveway for a few days, slowly filling with her life. The tall, pink roses on the south wall have been cut down and the tomato plant tossed out. One of her couches is hoping for a home. She died in her sleep on July 12th… 4:00 on a Sunday morning. In someone else’s place. I took my pruning shears over to her house the day she died and cut a branch of her rose bush for myself. It had one bloom and several buds on it. By the time her funeral came along, most of the buds had opened. I took the vase to a counter where I could take a picture and several of the blooms flew apart. I saved all of the petals as they fell and will take them with me when I go to visit her grave. This entry was posted in People and tagged blooms, couches, driveway, dumpster, house, life, mustard yellow, pink roses, pruning, sleep, tomato plant on August 7, 2009 by admin.